We’ve lost one of the greatest innovators the world will ever know. 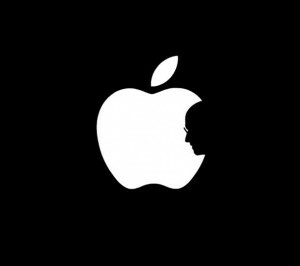 The man who urged us to Think Different, and in effect, changed the way we think today. The man who brought us the technology that have become necessities of our time—the Macintosh (now MacBook), iTunes, the iPod, the iPhone, and the iPad. This was the man who had a vision, had a dream of putting “a ding in the universe,” and used his passion to do something we take for granted daily. Steve Jobs was a remarkable man, for several reasons. As PR pros/marketers, building, nurturing and protecting a brand is one of our foundational responsibilities. And, there is no one we can learn more from in that respect. He built Apple into the global force it is, by staying true to his vision—focusing on marrying the best hardware with the best software— to bring us the coolest devices we had ever seen, and creating such manageable user interfaces that he made this advanced technology user-friendly, and simple to navigate. These young rappers today love talking about their swag. But, if we still used actual dictionaries and you looked up the word, you’d likely see the Apple logo. The genius of Steve Jobs was he created a brand that he truly believed in—not just for business, but because he knew this brand and its innovations would lead him to his goal of putting that ding in the universe. But, Steve was never complacent in his amazing accomplishments. As the Think Different ad stated, he was one of those “crazy ones,” here to “push the human race forward.” That ding he put, echoed throughout the universe, and that resounding echo will never fade. Technology changes. Brands lose touch. And, that’s why Steve Jobs was the greatest innovator ever: He changed technology, and built a brand with so much affinity and loyalty, that while others were talking about changing the game, he revolutionized it. Because he was never on the same playing field as his competitors. He controlled the game they’re playing.